Congratulations to Peter, who has now been awarded his PhD! 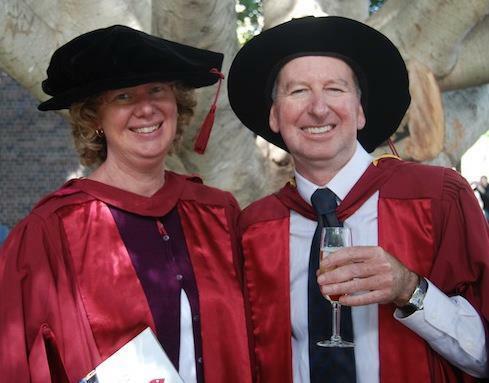 Here he is with Michelle and a well earned glass of bubbly at his graduation ceremony in April. Congratulations Peter! An inspiring effort to balance work requirements and academic research. The study you do helps all of the local practioners take on the dreaded African olive.